This is the Mango Comics version of China, one of the traditional enemies of Darna. 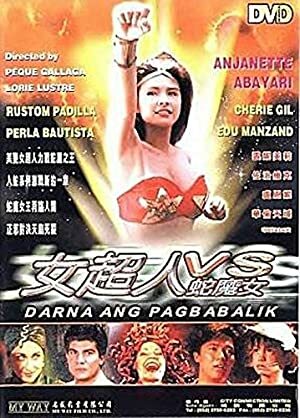 Darna is the de facto national super-heroine of the Philippines, sort of a mix of Captain Marvel (Billy Batson) and Wonder Woman (Diana of Themyscira). If you don’t know about her, we recommend first reading our Darna character profile for context. Known Relatives: None, calls Ebony “sister” but that may be a simple honorific. Group Affiliation: Serpent Queens of Tiamat. Base Of Operations: Manila, Philippines, formerly Tiamat. Height: 5’6” Weight: 100 lbs. China is Valentina’s guile. She has the ability to transform into a human sized orange viper similar to a spitting cobra. She is capable of producing a venomous cloud in addition to her poisonous fangs. She also is incredibly quick. She prefers to use her poison and quickness to ambush an opponent rather than facing an opponent head-on. Unlike her “sister,” Ebony, she rarely assumes a fully serpentine form preferring to utilize a humanoid reptilian from (complete with legs). China is the same race as the Serpent Queens. As such, she has the ability to communicate with all sorts of serpents. She can even use snakes to bite regular humans for unusual effect. If they should survive the experience, their strength and toughness increase dramatically. However, they also can be controlled by Valentina in a similar fashion to her serpentine servants. 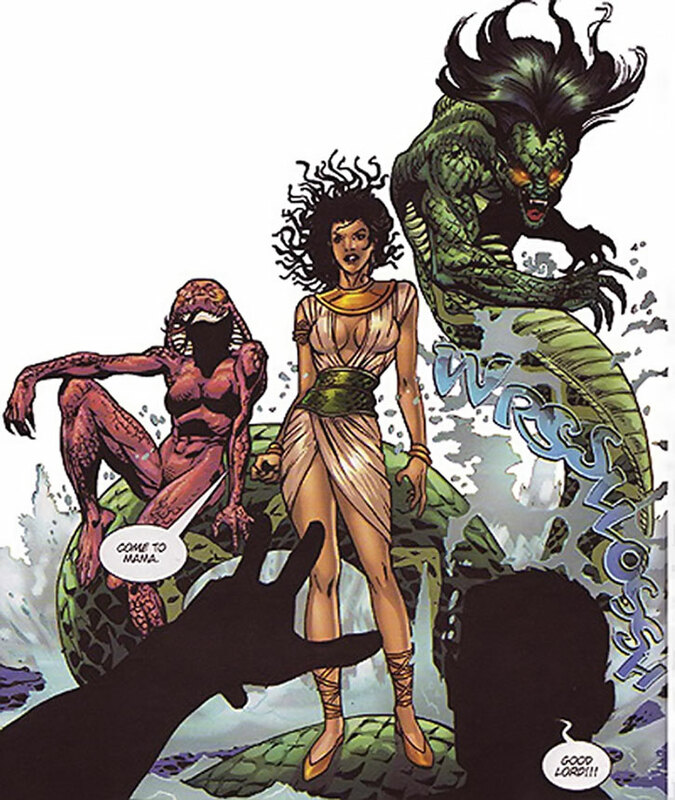 On the planet Tiamat, lived two races in conflict, the race of “Adarna Warriors” and the race of “Serpent Queens” (resembling Medusa and/or Naga). They became embroiled in a fierce war which ravaged the planet. The world controlled by the races was desolated in the conflict and the Matriarchs fled to the planet Nibiru (also known as Marte). Valentina and the “Serpent Queens” were left to control Tiamat and while they ruled the world, it was a hollow victory as the planet was now dead. The queen, Valentina made her way to the world of Earth. She infiltrated human society, disguised as one of them. She soon found this world worthy of her rule and brought her ‘sisters,’ China and Ebony, to Earth. It seems likely she has either a transdimensional power or some other ritual for traveling back and forth. They began assembling a secret terrorist army to generate fear in the people. China enjoyed the skulking about but both sisters grew anxious to begin the conquest. Valentina disguised herself as Amor, a new pop-singing sensation. She plotted to turn her throngs of fans into her mindless slaves at a huge concert. China and Ebony dutifully followed in their queen’s shadow, awaiting the time they could poison and crush these vermin humans. Everything was going well until Darna showed up, interrupting the concert. Valentina had even taken special hostages that seemed important to Darna, but that didn’t seem to stop her. While China held the hostages, Ebony was given leave to attack. She quickly coiled around Darna, and even swallowed her! In a feat of strength, Darna punched her way out of Ebony’s mouth. China joined the fray. Zipping around Darna to get behind her, she grabbed the Adarna Warrior and breathed her poisonous cloud into her face. But Darna was able to hold her breath and quickly overpowered China as well. Valentina retreated from the battle as her servants had fallen. China usually appears as a slight Asian woman with pronouncedly almond shaped eyes. Once she reveals her reptilian form, she becomes an orange humanoid cobra (with hood unfurled) with a 2’ forked tongue. While she can assume a full serpent form, she generally fights using her arms as snakes and moving on two legs. China is cunning, but thinks she is far cleverer than she is. China enjoys the attraction men seem to have for her and loves watching that lust turn to fear. Much like the fear she injects into humans’ hearts, she also loves to inject her venom into their flesh and watch their reaction as they feel death creep into their body. You could easily use them with Valentina, and follow the history presented in her write-up. Ebony and China could easily be used with any of the Serpent Societies or squads as another pair of flunkies. While they are physically formidable in their snake forms, they need leadership to be truly effective and lack enough imagination to truly strike out on their own. After rebuilding his transmitter with the help of the Manhunter, Saul Erdel decides to use it in experiments on other celestial objects. Targeting the asteroid belt; he accidentally summons the presence of two natives of what was once a planet, destroyed eons ago. Ebony and China quickly overpower the scientist and begin a rampage, taking over and destroying the city around his home. They are quickly brought in contact with the Martian Manhunter himself, who manages to subdue the two would be invaders. In prison they meet some Kobra cultists who instantly recognize them as messengers from the gods. Through their newfound friends the come into contact with Kobra, who springs them from jail and makes them his personal lieutenants. Animal Control, Animal Summoning and Speak with Animals are all limited to snakes/serpents. 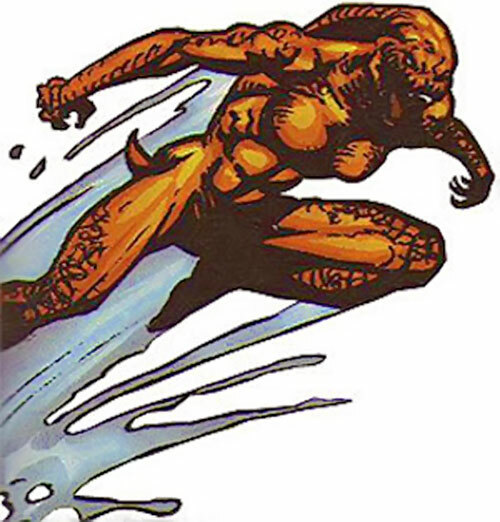 Shape change includes partial transformation but is restricted to changing to the form of a giant viper. This is presumably her natural form. Enchantment is limited to the physical statistics of those who survive her or her snakes’ venomous bite and is permanent. Note this also makes the victim subject to Valentina’s control. (see Valentina’s write-up for more details). Omni-Arm is contingent on Shape Change and can only be used to change her arms into snakes (which can use the powers relating to her venomous bite); the AP is usually used on Stretching or Split. Language (Tagalog, English and Spanish), Attractive (in human form), Insta-Change, Lightning Reflexes. 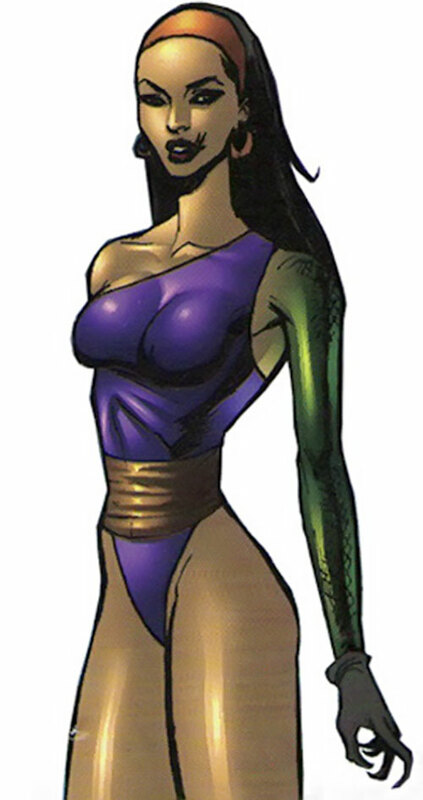 Strange Appearance (when she partially transforms into a snake), Exile (Presumably Voluntary), Secret Identity, MIA (causing fear), Minor Rage, Attack Vulnerability (-1 CS vs. cold). Paralysis, Claws and Poison Touch are combined powers and represent her fangs and venom. Knockout Gas is combined with Chemical Attack and can enter Killing Combat. Superspeed is only usable the first phase of combat. Growth and Stretching do not actually increase the size of her torso or features, but her tail and snake form can reach the size of a tree (approximately 35’). I did not include the Control power that Valentina has with Ebony and China since they didn’t directly display them, but it is possible they also possess the abilities to Control those who have been bitten by their venom as well as serpents and snakes. Occultist is speculative based on the “Serpent Queens’” collective knowledge. The attack vulnerability and Tracking Scent are also extrapolated based on real snakes and reptiles. Helper(s): Darci, Gareth Lewis and Kal-El for editing. Source of Character: Mango Comics Darna 3 issue limited series.